Kingston today announced HyperX red memory as a permanent addition to the entry-level, high performance HyperX blu product line. The vibrant red colored heatspreaders allow greater heat dissipation to help maintain optimal system performance. HyperX red is for entry-level gamers, system builders, PC modders and mainstream consumers looking for stylish, high-performance memory upgrades at reasonable prices. 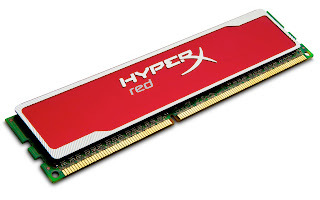 HyperX red’s P/N ends with X is Intel XMP ready, and is available in up to 8GB (single) and 4GB–16GB (kits) at 1600MHz and 1333MHz, in both 1.65v and 1.5v. With the ease of installation and HyperX reliability, these new modules meet the needs of consumers and gamers alike who seek higher performance via faster speeds and larger capacities. Kingston HyperX memory is backed by a lifetime warranty and free live technical support. 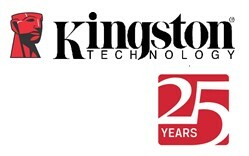 For more information, please visit www.kingston.com/en/memory/hyperx. Kaspersky Lab announced the release of its new flagship consumer products: Kaspersky Internet Security - Premium Security Suite; and Kaspersky Anti-Virus - Essential Protection Solution at Kaspersky Lab India Partner Conference 2012 in Macau. 288 channel partners from India attended the Kaspersky Lab India Partner Conference and launch of all new Kaspersky Internet Security and Kaspersky Antivirus at Macau. At Kaspersky Lab we understand the high value of the personal information and digital media you store online and on your PC. We also know that, unfortunately, cybercriminals directly target your social media and online banking accounts, passwords and other private information. When these cybercriminals attempt to steal your finances, your personal documents, and family photos and videos can end up being destroyed – collateral damage of a malware infection. That is why when designing the versions of our Kaspersky Internet Security and Kaspersky Anti-Virus consumer products we created a number of unique technologies to provide maximum protection for your digital assets. Kaspersky Lab has vast experience in detecting and blocking exploits – malware that utilizes vulnerabilities in legitimate, but security-flawed software to infect the system. Based on this knowledge, we have created a new technology – Automatic Exploit Prevention – capable of blocking even new and currently unknown exploits, or malware that uses the most dangerous zero-day vulnerabilities. Another unique technology, available only in Kaspersky Internet Security, is Safe Money aimed at protecting your real-life credit card or bank account during online banking or shopping activities with a diverse but easy-to-use set of security tools. This includes a specialized “Safe Browser” mode, isolating your money-related business from other online activities, and checking the authenticity of commercial websites. Safe Money will also automatically evaluate your computer for potential vulnerabilities. For an extra layer of protection, Safe Money mode utilizes an on-screen Virtual Keyboard – allowing you to enter passwords and credit card numbers without a physical keyboard, rendering key logging malware useless. We have increased the overall level of protection for our customers, thanks to a new antivirus engine and our landmark Hybrid Approach – when traditional methods of detecting and blocking threats are combined with modern cloud-based techniques. The previous editions of Kaspersky Internet Security and Kaspersky Anti-Virus regularly show more than 99% detection rates in independent tests, with up to 100% for the most prevalent malware. In the new versions of the consumer products we’re aiming even higher, working to block even the rarest and quickly-spreading malware. Kaspersky Internet Security efficiently combats unwanted mail – the most common security threat – using a completely new anti-spam engine that works seamlessly with your favorite email client. Better performance and simplified user experience In Kaspersky Internet Security we made sure that during the most frequent tasks, such as web browsing or the installation of new software, the protection is effective but inconspicuous. The user interface in the new products has been streamlined for a better experience, with fewer clicks and menus required to access the tools and information you need. The new versions of Kaspersky Internet Security and Kaspersky Anti-Virus are fully compatible with the new Windows 8 operating system from Microsoft. Kaspersky Lab offers full protection for Windows 8 users, with enhanced security for applications in the new touch-friendly interface and support for all the new safety features of the operating system itself. The new Kaspersky Now application gives Windows 8 users a quick overview of their PC’s security status and makes it possible to launch key features of Kaspersky Anti-Virus and Kaspersky Internet Security directly from the new user interface. This app is available free of charge in the Windows Store. Overall, the aim of the new Kaspersky Internet Security is to provide you with peace of mind when it comes to the security of your personal information and real-life bank account, while Kaspersky Anti-Virus provides essential protection against modern cyber threats. We have combined all our groundbreaking protection technologies in one, simple-to-use, resource-efficient security suite, now designed with dedicated protection against the most complex threats to your money. Kaspersky Internet Security and Kaspersky Anti-Virus new are available for purchase on Kaspersky Lab India site – www.kaspersky.co.in , Sakri IT Solutions – National Distributor Kaspersky Consumer Products website – www.sakri.in , IT retail outlets and LFRs. Existing users of Kaspersky Internet Security and Kaspersky Anti-Virus are eligible for a free upgrade. Kaspersky Internet Security and Kaspersky Anti-Virus are available in the one user and three user pack options. Kaspersky Antivirus one user/one year pack is available at Rs. 599 and three user/one year pack is available at Rs. 1199/-. Kaspersky Internet Security one user/one year pack is available at Rs. 899 and three user/one year pack is available at Rs. 1499/-. WishTel, the makers of low-cost and highly effective tablets IRA and IRA Thing 2, today announced the launch of a larger screen size tablet in the same series, IRA Comet HD. Priced at Rs.9,999, IRA Comet HD is has a large 10.1” TFT LED Multi-touch Capacitive Touch Screen that runs on Android 4.0 (Icecream sandwich) and is powered by 1.2 GHz processor with 1 GB RAM. IRA Comet HD, boasts of advanced 3D graphic enhancers and multimedia, connectivity, and computing capabilities with a range of essential ports and smart features. The 3D live effect where objects really do pop-out of the display can give consumer an amazing overall experience through their journey. Over 1000 hours of educational video content, course materials for 12month and 24 months programme of IIT - JEE (Engineering), Medical AIPMT, study materials for CAT & GMAT entrance exams and school curriculum of CBSE, ICSE syllabus recognised by renowned institutions will be made available on the IRA Comet HD tablet for students at a special subscription cost. Under the hood, the tablet has an 8 GB internal memory and an expandable memory of upto 32GB and comes with 2.0 MP rear and VGA front camera. It is capable of accepting and displaying HD content at 1080p using a component video or digital input as well as HDMI output. 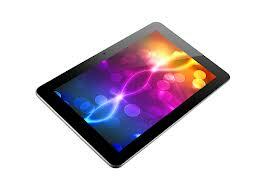 The tablet comes engineered with a 5500 mAh battery, which can give users browsing time of approximately 5 - 6 hours. The device is highly portable and allows you to connect to the world through 3G with external USB port and Wi-Fi where you can play your favourite games like angry birds, temple run and many more that can be downloaded through the android market store - Google Play. The tablets also come with a rich set of personal productivity, social media, Microsoft office, communications, and entertainment apps, making them ideal solutions for a wide variety of home, educational, and corporate uses. The device also comprises G sensor which is 4 dimensional Gravity Sensor used for gaming purpose. IRA Comet HD is priced at Rs.9999 and will be made available through retail outlets across all cities in India. It is available through leading ecommerce websites and WishTel’s website. It also bundles HDMI cable, wireless headphone, WLAN to USB port cable and Card reader. • Full HD Ready: Capable of accepting and displaying a high definition content at 1080p using a component video or digital input as well as HDMI output. Cisco and VMware announced they plan to expand their strategic partnership to include integrated products and solutions aimed at delivering the software defined datacenter. This partnership expansion will be highlighted by an investment in dedicated engineering teams collaborating on deeper integrations across the VMware cloud infrastructure and management stacks and Cisco's Data Center Networking and Fabric Computing platforms. The companies' investment in joint dedicated engineering teams will represent a new level of collaboration which will enable the software defined datacenter through unprecedented coupling of virtual and physical infrastructure.
. Cisco and VMware will make significant joint engineering investments to develop technology integration initiatives, which will launch a new set of solutions designed to provide customers unprecedented levels of agile compute and network services, workload and workspace mobility, end-to-end visibility, and ease of troubleshooting across their physical and virtual infrastructures.
. To support customer demand and choice, VMware will integrate the Cisco Nexus 1000V Series Switches with the new VMware vCloud® Suite 5.1, also announced today, and other VMware products.
. Cisco and VMware will develop Cisco Unified Computing System (UCS)-based cloud solutions, which will bundle Cisco virtual networking, virtual services and management such as the Nexus 1000V virtual switch, CSR 1000V cloud router, ASA 1000V cloud firewall, virtual WAAS for WAN optimization, and Intelligent Automation for Cloud with VMware vSphere® 5.1, VMware vCloud Suite 5.1 and complementary management offerings.
. Furthering the commitment to mutual customers, Cisco will resell VMware vCloud Suite 5.1, which will feature enhanced interoperability with Cisco Nexus 1000V.
. As part of the companies' joint vision for the transformation of the workspace in the post-PC era, VMware and Cisco are expanding their joint solutions with Cisco VXI and VMware View to introduce new integrated solutions for SMB and ROBO customers featuring Cisco e-Series UCS servers and VMware View®.
. Cisco and VMware will also provide Cisco Validated Designs and reference architectures to simplify and accelerate customer implementation of these joint solutions.
. Cisco and VMware joint solutions will be made available for VCE, as well as ecosystem partners, to help drive customer adoption of its industry-leading converged infrastructure platforms. Cisco and VMware remain strongly committed, along with EMC, to the VCE partnership.
. Nexus 1000V – In 2009, VMware and Cisco delivered a distributed virtual switch from Cisco enabling network administrators to simplify network management between their physical and virtual environments. Since its inception, more than 6,000 customers have licensed this joint solution.
. Cisco UCS – In 2009, Cisco introduced the Unified Computing System (UCS), a new x86 platform that radically simplified the management of compute, storage access, networking and virtualization and is tightly integrated with the VMware vSphere platform, enabling customers to reduce their CAPEX and OPEX as they expand their virtual and cloud infrastructures.
. Converged Infrastructure – Cisco and EMC, together with VMware and with investments from Intel, established the VCE coalition in 2009, spearheading the movement toward converged infrastructure. Customers globally have recognized the value of Vblock™ Infrastructure Platforms in accelerating the migration of enterprise workloads to private and public clouds.
. Cisco VXI and VMware View – In 2012, Cisco and VMware cooperated to deliver a unified collaboration solution leveraging VMware cloud infrastructure, VMware View and Cisco UCS, Cisco Wide Area Application Services and Unified Communications platforms to enable customers to migrate to a more open, mobile and immersive workspace environment in the post-PC era. Cooler Master today announces the launch of its new Mini-ITX chassis, the Elite 120 Advanced. 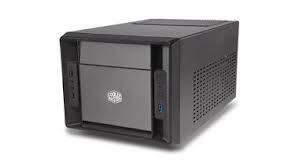 This chassis in the first in the Indian market to offer a small, but feature-rich case that can accommodate standard form factor hardware in a small foot print! Packed with amazing features at an affordable price. Designed ground up to meet the expectations and challenges of a media centre or small form factor PCs, the Elite 120 Advanced offers some unique features without burning a hole in your pocket. The aluminium front panel lends a classy touch to the whole affair and the chassis blends perfectly in any AV system. Though small, the Elite 120 Advanced can be used to build a powerful rig. It can easily devour an ATI HD7990 or Nvidia’s GTX 690! The smartly designed thermal management system ensures good ventilation and is optimized for low noise and silent operation. What’s more, the Elite 120 Advance accepts a standard ATX power supply – Simply plonkany PSU you can lay your hands on. Similarly, the Elite 120 also accepts full size (5.25”) optical drives negating the need for low-profile slot drives, which are expensive and hard to find. Effectively, the Elite 120 Advanced frees you from the problems that have thus far plagued small form factor chassis! Smart design aside, the Elite 120 offers exciting features all around. It supports up to 5 HDDs or SSDs with an optional dedicated fan to keep the cool. The chassis rail forms an excellent support for hidden cable management system that improves ventilation. Front I/O offers three USB ports – two USB 2.0 and one USB 3.0 for convenient and blazing fast data transfer. Two fans – one up front and the other at the rear, and perforated side panels ensure excellent airflow to keep the components cool. TheCooler Master Elite 120 Advancedis priced at Rs3,799/- (MRP)and carries one year warranty. The Elite 120 Advanced is available ex-stock and distributed in India by Acro Engineering Company. 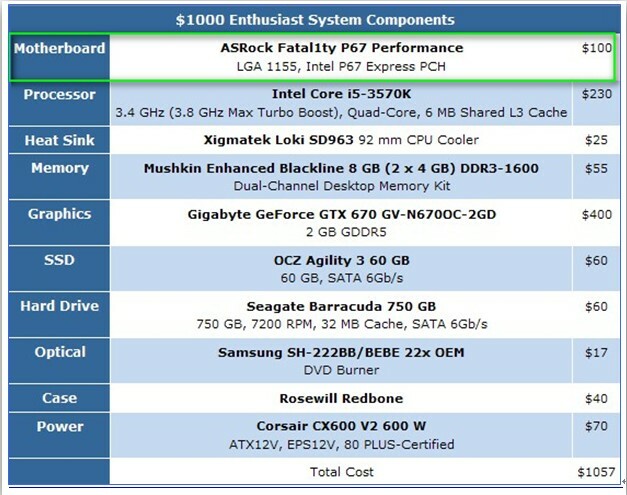 ASRock Inc, today is thrilled to announce that its flagship X79 Extreme4 and Fatal1ty P67 Performance mainboards were selected for inclusion in Tom’sHardware System Builder Marathon, August 2012, ‘$2000 Performance PC’ and ‘$1000 Enthusiast PC’ segments respectively. The incredible X79 platform is known for the astonishing OC capability. ASRock X79 Extreme4, the vanguard of the ASRock X79 mainboard revolution, is built with rock-solid components to construct the strongest rig. The board comes with plenty of overclocking goodies which include Digi Power, Premium Gold Caps, X-FAN, XFast 555 Technology and 3-Way SLI/CrossFireX. 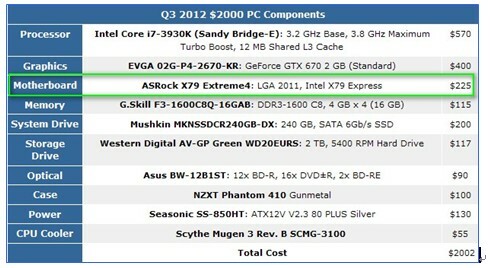 With the ultimate package, ASRock X79 Extreme4 can help users to rewrite the overclocking numbers more easily. ASRock/Fatal1ty P67 Performance brings the best bits of components and works brilliantly that was finally selected for the top choice of $1000 Enthusiast PC competition. The fabulous features include Premium Gold Caps, a hefty 8 + 2 power phase design, gamer-needed Fatal1ty Mouse Port and all-in-one F-Stream tuning kit. Fatal1ty P67 Performance is a great package for just $100. If you're on a tight budget, we reckon you'll be very happy with it indeed. PNY Technologies has introduced the fun and eye catching Candy Attaché USB 2.0 pendrive and will schedule releasing USB 3.0 in upcoming September. PNY has always steered away from the conventional designs and broken all norms, introducing avant garde designs, giving a new dimension to Pen Drive. The Candy Attaché pendrive, the next addition to PNY’s popular attaché range, embraces the cute and sugary sweet design of a candy stick and delivers convenient transfer and storage of one’s precious data files. Its high Speed 3.0 Data transmission accelerates data transfer making it less time consuming to access one’s digital files and media. In present’s life style where everyone carry more HD video, digital artwork, music and presentations, faster devices are required to keep pace with one's digital lifestyle. Those who still prefer the standard pen drive 2.0 can still have the 2.0 pendrive but with a new conventional designs. 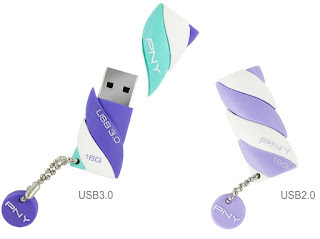 The PNY Candy 2.0 and 3.0 pen drive with its exterior covering encased in durable rubberized material, the candy shaped drive offers maximum protection with shock absorbent and waterproof features. The matte finish and wavy distorted lines makes it easier to grip and use. Resembling the soft appearance of marshmallows and cotton candies, the drive is available in a lovely lavender hue complimenting this season’s color trends of pastel shades, making it look good enough to eat. To prevent misplacement or loss of the cap, it can be attached to the stylish personalized PNY logo strap. Both are lightweight (10.07g) drive offers compatibility with Windows 2000, XP, Vista, 7 , 8 and Mac OS: 10.3 above systems. The pen drive also promises an assured warranty of 5 years making it a complete collector’s item. Visit http://www.pnytech.in/ for more information or to learn more about the entire line-up of PNY products. 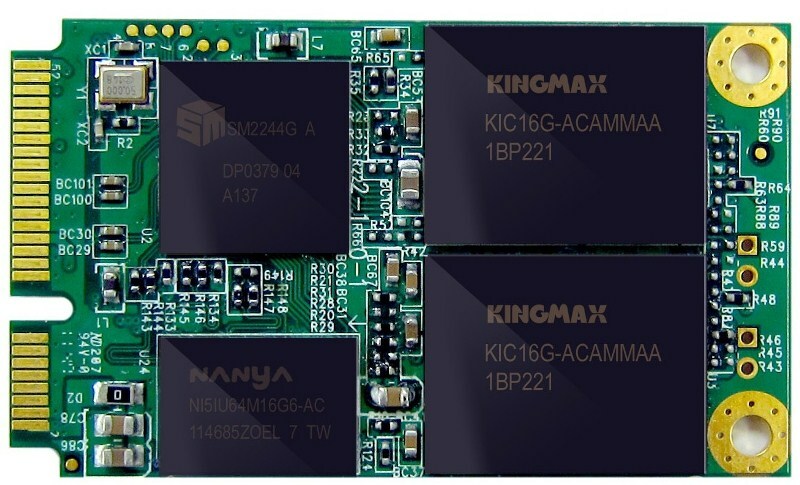 As more and more consumers is concerning about SSD for its attributes of high performance and fast booting, world renowned memory and flash modules manufacturer, KINGMAX, recently launches mSATA SSD MMP20; not only convenient for user to make their own hybrid disk(HDD+SSD), but also suitable for small form factor systems. 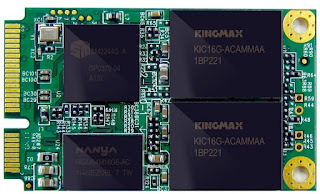 KINGMAX SSD features “Premium Selected” quality; all flash ICs are strictly screened and the whole SSD is 100% tested before shipping. For many notebook users, it sounds appealing to upgrade system by SSD; however, it might compromise capacity or overspend when replacing original HDD by 2.5” SSD. KINGMAX MMP20 mSATA reconcile this dilemma. It can be directly install inside notebook on Mini PCI-E slot, and even tiny size is capable as normal 2.5” SSD. Using mSATA SSD as a system disk and keeping original HDD allows the “Hybrid Disk” to have qualities of fast booting, high performance and large capacity. In addition, mSATA SSD is becoming economic storage for system upgrade in mainstream PC market since more and more Z68 or Z77 motherboards support Intel ®Smart Response Technology (SRT). Intel® SRT is an Intel® Rapid Storage Technology caching feature; it allows a user to configure computer systems with an SSD used as cache memory between the hard disk and the system memory. Installing KINGMAX MMP20 mSATA SSD with HDD, a user is able to keep maximum storage capacity and SSD-like overall system performance; it is no doubt a smart and cost-efficient way to upgrade system. KINGMAX mSATA SSD MMP20 is compact and light; compliant with JEDEC MO-300B, it is not only applicable for notebook and desktop systems, but also very suitable for small form factor and embedded systems, such as popular tablet. MMP20 adopts SATA II 3GB/s interface and equips with a powerful controller which optimizes the flash memory management to maximize system reliability and performance. The SATA interface optimizes the translation between host devices and flash, which results in the most efficient data read/write transfer, enhances boot times/ application load times and reduces power consumption. KINGMAX MMP20 meets RoHS regulations (Restriction of hazardous substances in electronic and electrical and electronic equipment) and was certified CE and FCC. Moreover, all KINGMAX products have been 100% tested under strict quality control system to meet all requirements before shipping. The KINGMAX product warranty service ensures premium product quality and flawless customer services. ADATA Technology today announced the launch of the DashDrive UV110, a high-value portable storage solution which comes in a range of four charming colors. This new entry-level model is poised to make its colorful mark among the company’s diverse lineup of innovative USB storage solutions. The housing of the DashDrive UV110 includes the handy features of a thumb-actuated sliding USB connector, and an integral strap hole for use with a lanyard or keychain. Furthermore, consumers will be able to choose models according to their favorite colors: navy blue, milk white, cotton candy pink, and caramel brown. 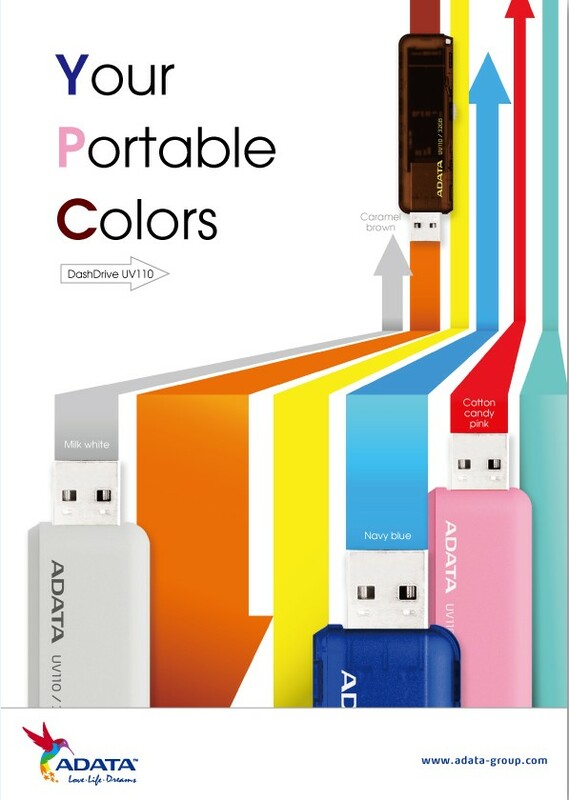 ADATA has made a strong impression in the market with its previous USB Flash drive offerings. The DashDrive UV110 carries the strengths of the previous models, while delivering new levels of value in a wider range of popular colors. Equipped with a USB 2.0 interface, the UV110 is poised to appeal to those who are looking for an economical storage device that can match one’s personal style. Capacities available will include 32, 16, 8 and 4 gigabytes. PNY Technologies, Inc today announced the new Mini M1 USB Flash Drive. Featuring a low profile design, this is one of the smallest drives available today. The Mini M1 weighs only 2.8g, which is half of the M1 Attaché, yet another tiny drive from PNY. 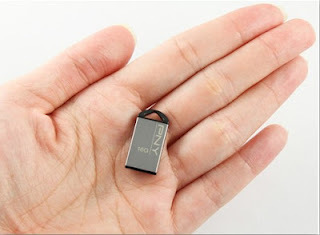 Although its dimensions are smaller as well, it boasts capacities up to 32GB. With this extreme portability and large capacity, you can use this trendy drive to easily share your pictures, movies, music, games, work documents and more. With write speeds up to 10MB/s and read speeds of up to 32MB/s, you don't have to wait for long for your files to transfer. The drive works with all recent versions of Windows and Mac OS 10.3 and above. 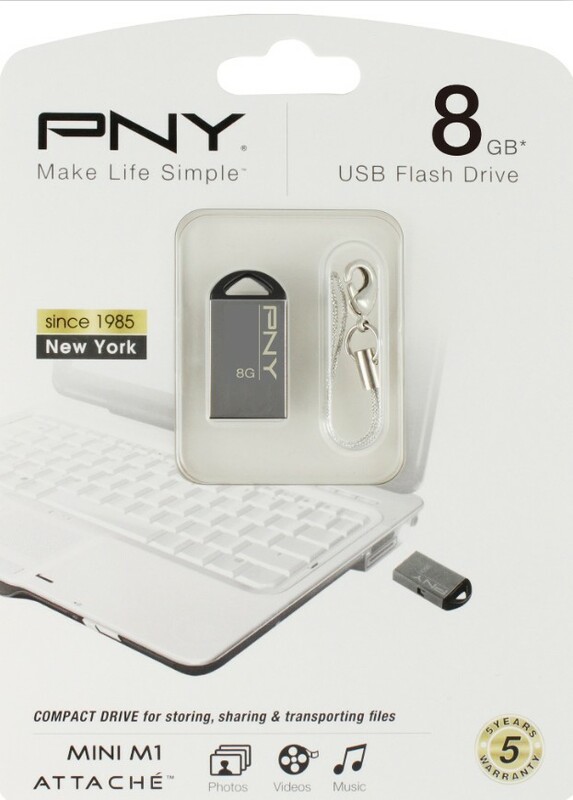 Like other PNY flash drives, the Mini M1 comes with a 5-year warranty from the date of purchase. 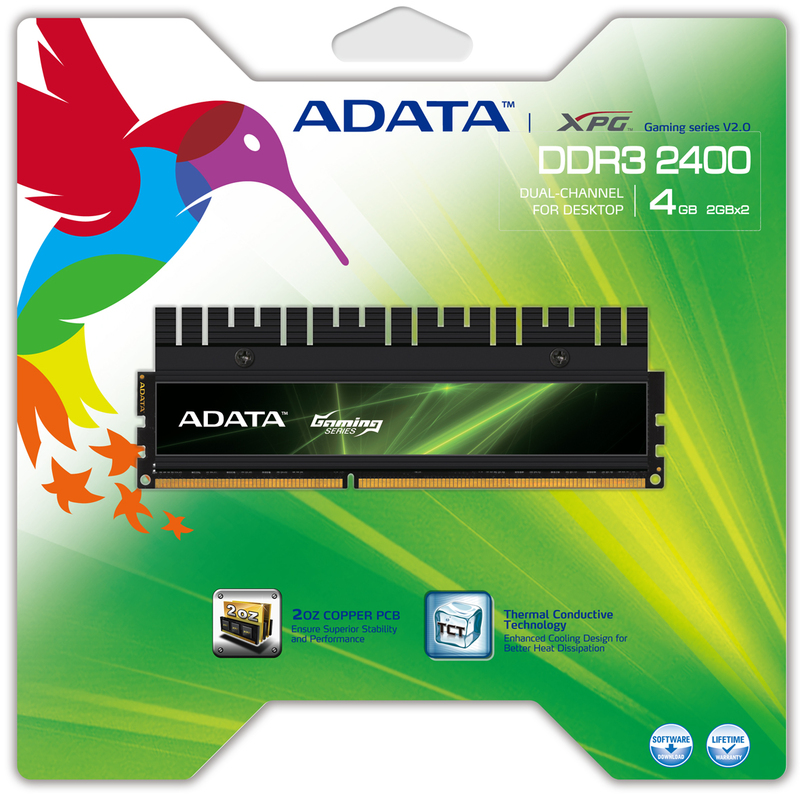 ADATA Technology Co., Ltd. today announced the start of shipments of its latest advanced in gaming technology, the XPG™ Gaming v2.0 Series DDR3 2400G DRAM modules. These dual channel kits are designed and engineered to bring optimum performance to third generation Intel™ Core™ processors and the Z77 platform.